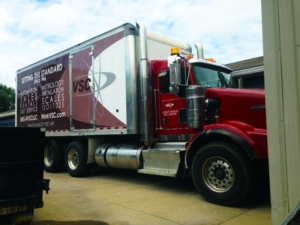 Headquartered in Clarksville, Indiana, VSC is committed to enhancing the measurement systems and applications of our clients with the use of state of the art technology. As specialists in the sales, service and support of measurement based applications, our expertise as a systems integrator and solutions provider is proven. VSC has a wide array of capabilities and product offerings. Our complete line of measuring devices have industry-proven standards of quality. Through factory trained technicians, we have the experience to support, troubleshoot and service complete electronic or mechanical systems in their entirety. In addition to our array of service based offerings, we also provide project management, consulting and integration services, as well as a complete line of standard products and custom solutions. VSC has the depth and breadth of experience to deliver projects that are large and complex in scope. Here at VSC, we are dedicated to client satisfaction beyond the sales transaction. We are committed to follow-through support in the coming years by maintaining up-to-date technology solutions, providing expert consultation on equipment applications, and maintaining all aspects of measurement equipment. Through these initiatives, we are able to accompany our clients into the future by helping them to achieve ever-increasing levels of quality and productivity in their pursuit of product and service excellence.